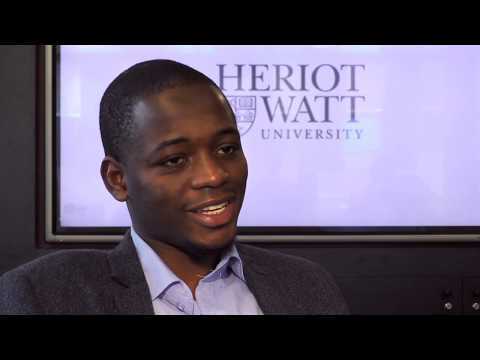 For more information about Actuarial Management at Heriot-Watt University, please visit the webpage using the button above. The PG Diploma comprises the taught coursework component leading to exemptions from CA1 and the ST professional subjects and takes 9 months to complete. Successful students can then progress to the project work in the summer. This takes the form of industry-relevant case studies, assessed by written reports, which leads to the award of an MSc and exemption from the Subject CA3. In exceptional cases a student may be allowed to write a research dissertation. The programme is also available to be studied on a part-time basis, over a maximum of 4 years. The programme is fully accredited by the Institute and Faculty of Actuaries. Heriot-Watt University is recognised as a Center of Actuarial Excellence by the Society of Actuaries (SOA), North America. We are the only Center of Actuarial Excellence in Europe and one of only 30 other schools worldwide with this designation. With roots dating back to 1889, the Society of Actuaries (SOA) is the world's largest actuarial professional organization with more than 28,000 actuaries as members. 30% of our teaching staff are qualified actuaries, the others are leading Mathematicians, Financial Mathematicians and Statisticians, who are nationally and internationally recognised for their research. This expertise ensures that what we teach you is current, applicable to the real workplace and current economy. Our National Student Survey results are consistently high for overall student satisfaction. Results from the National Student Survey for 2011 reveal that 88% of our Mathematics and Statistics (including Actuarial Science) graduates are employed with a graduate position and/or undertaking further study. Our graduates go on to work for companies such as Swiss Re, Standard Life, Towers Watson, Lloyds Banking Group, Barclays Capital, Scottish Widows, Ernst & Young and many more. Graduates are employed locally in Edinburgh, London and throughout the world. Visit our YouTube channel to watch short videos from our students and graduates, and see an example of a lecture at Heriot-Watt. Heriot-Watt has a very active Students' Actuarial Society which won several awards at a recent Heriot-Watt 'Oscars' ceremony. This body is completely managed, enthusiastically and professionally, by our students. If you have not already passed most or all of the Core Technical subjects (CT1 to CT8) then please refer to our MSc in Actuarial Science.